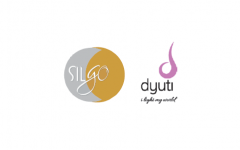 Silgo Retail IPO Description - Silgo Retail is engaged in the business of designing, manufacturing, retailing and wholesaling of silver jewellery. The company deals in silver jewellery and offers a wide variety of designs to suit the preferences of the end customers. With regional diversity of tastes and preferences, it has diverse portfolio of ornaments and jewellery to suit the taste and preferences. Silgo Retail IPO allotment status is now available on Bigshare Services' website. Click on this link to get allotment status.